State Publishing House of Ukraine (Державне видавництво України [ДВУ]; Derzhavne vydavnytstvo Ukrainy [DVU], or Держвидав; Derzhvydav). The official publishing house of the Soviet Ukrainian state, founded by the All-Ukrainian Central Executive Committee in Kharkiv in May 1919 as the All-Ukrainian Publishing House (Vseukrvydav). It was renamed the All-Ukrainian State Publishing House in 1920, and DVU in 1922. In the second half of the 1920s, under the direction of Yu. Voitsekhivsky and Serhii Pylypenko, DVU was the largest and most important publisher in Soviet Ukraine—it produced over half of all its books—and the second-largest publisher in the USSR. It played a major role in the implementation of the Ukrainization policy by publishing several hundred schoolbooks; several series of Ukrainian literary classics; works by contemporary Soviet Ukrainian authors; translations of European classics; political propaganda; sociopolitical, technical, and children's books; and 38 periodicals, including the literary journals Chervonyi shliakh, Zhyttia i revoliutsiia, Literaturnyi iarmarok, Hart, Nova generatsiia, Ukraïna (1914–30), and Pluh. It also ran a Central Bibliographic Division (it became part of the Book Chamber of the Ukrainian SSR in 1922) and a network of 28 okruha branches, 75 bookstores, 15 kiosks, and 73 agencies. Its editorial staff was led by V. Shcherbanenko and included prominent writers, such as Mykola Khvylovy, Mykola Kulish, Petro Panch, Volodymyr Svidzinsky, and Pavlo Tychyna. From 1926 DVU came under increasing state control; in that year it was ordered by the CP(B)U Politburo to prepare and publish a scholarly edition of Vladimir Lenin's works and to increase its output of political propaganda for the masses. 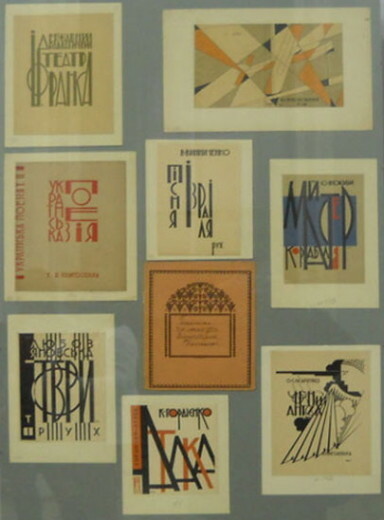 In the period 1920–8 DVU published 6,624 titles with a combined pressrun of 81,471,000; 4,487 of the titles were in Ukrainian and had a pressrun of 63,254,000 copies. Approx 65 percent of the output consisted of schoolbooks. By 1929, 94 percent of its publications were in Ukrainian. In August 1930 DVU was replaced by the State Publishing Alliance of Ukraine (DVOU), an association of specialized publishers that was abolished in March 1934.